An in-depth knowledge of Italian wine is critical to the serious wine student. 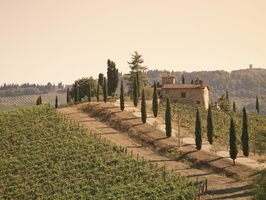 Italy is the largest wine producing country in the world (just beating out France) and a key wine exporter to the United States. Taste 40+ Italian wines while taking a deep dive into Italian geography and terrior, wine production techniques by style and region and much more. We strongly recommend, but do not require, that you first take the Guild Level 1 Wine Seminar before taking this or any other Level 3 Advanced Regional course.